6 Zone Walk In Cooler System, with 6 to 8 oC and < 8% Relative Humidity. 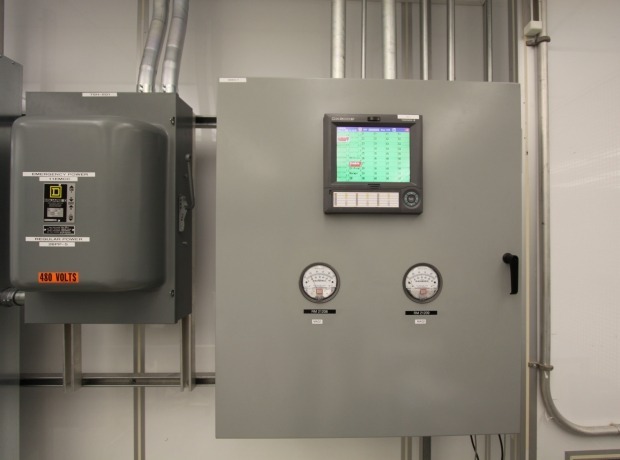 The control sequence controls a Custom AHU that has Refrigeration, Primary Air Flow, Desiccant Dehumidification, and HEPA Filtration as a Primary System. Secondary Systems included an Air Cooled Condenser if the building condenser water system has a failure, 6 Air Cooled Refrigeration Systems with Unit Coolers in case of Primary AHU Cooling Failure, and Dry Compressed Air in case of a Desiccant failure, with Dry Nitrogen as a third level of backup. 21 CFR Part 11 reporting monitored and reported with a Yokogawa DAX Station. 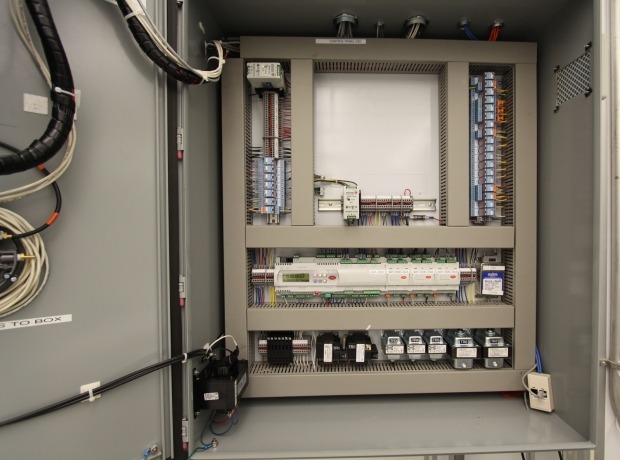 The existing Siemens HVAC Control System required replacement. 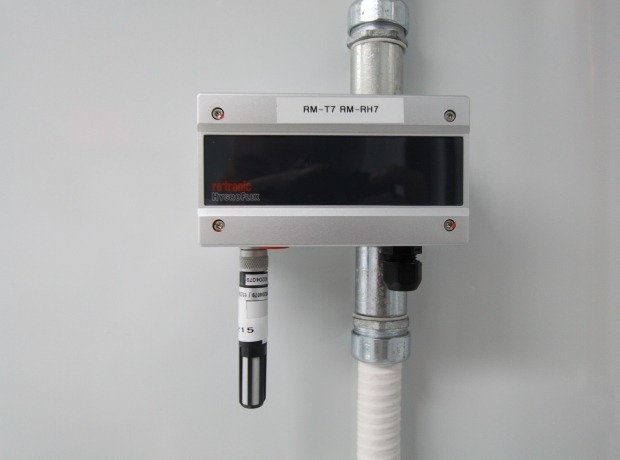 We researched a solution that would control the HVAC Systems, and the reporting for the monitoring of Temperature / Humidity & Pressure to meet 21 CFR Part 11. 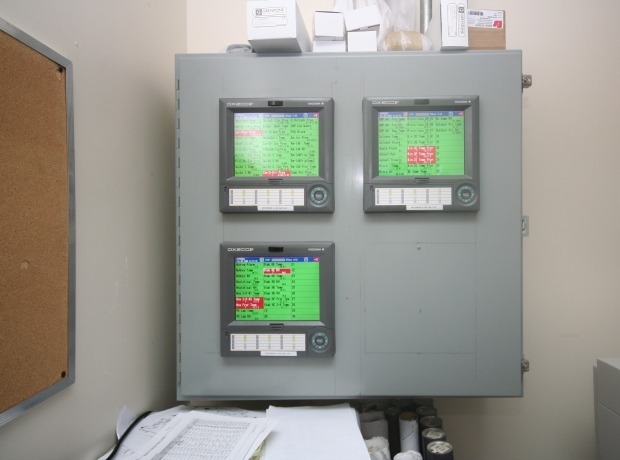 The decision was made to separate the HVAC Control from the monitoring. In doing so we reduced the connection between the Facility Management System, and the Validated System.